The Infinite Luxury Spa provides a personalised and highly distinctive experience. Our highly trained therapist’s conduct a private assessment with each guest to help them personalize a treatment or program where guests can relinquish, rejuvenate, recover, cleanse or be pampered. Much more than just a spa, our award winning Phuket luxury spa is a life-changing experience. Whether you are looking for a favourite massage to calm the soul and uplift your spirit, a rejuvenating specialist facial to release inner glow, or perhaps longer term wellness inspiration The Infinite Luxury Spa offers a comprehensive menu combined with the natural ‘ILA’ spa products that has your whole body covered. Our authentic spa experience is crafted around luxury spa treatments that deliver pampering with a purpose, focusing on ME TIME! The best in traditional Thai spa massage and treatments and use of authentic local products. Focusing on rejuvenation of the skin and the health of the nervous system. Time-out to recuperate in a tranquil, serene space with relaxing treatments. To regenerate healthy body- function and emphasize “Balance”. 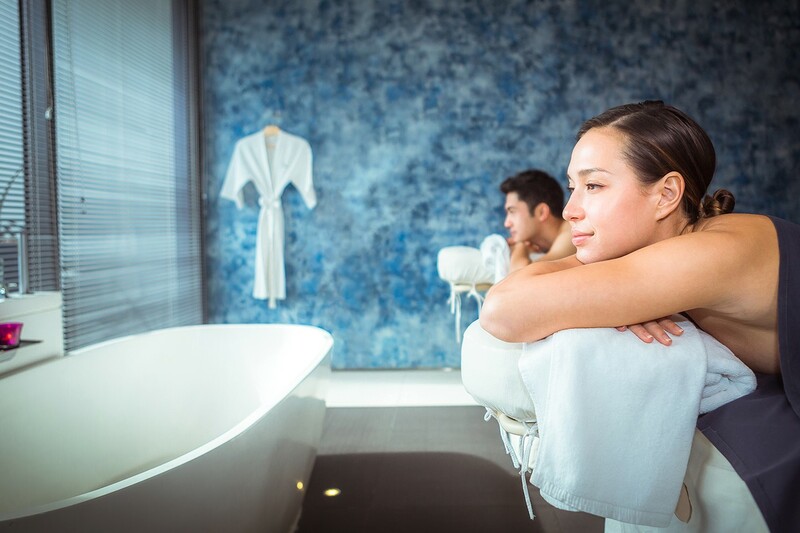 The award winning Infinite Luxury Spa blends the beyond organic philosophy of ILA spa products with its own “Me Time” philosophy, the latest spa massage technology in its eight luxury treatment rooms and suites, each designed around specific treatments. This includes two rooms for couples complete with luxurious his and her bathtubs, a chromotherapy room for coloured light therapy, a waterbed room equipped with Italian-made Iso-Benessere, a water massage bed for aiding spinal integration, a sleeping pod room with Metronap rest pod, traditional Thai spa massage treatment room, consultation and treatment room, pedicure and manicure treatment room and a contemporary tropical relaxation patio for after treatment chill down. Travelling for a family holiday? Create a memorable day at the spa for you and your children. Treat your beloved prince or princess and yourself to an enchanting day of pampering, beauty and splendour with our Pebble Spa menu created for kids aged between 5 to 12 years. Guests looking for the ultimate ‘in-villa’ spa experience; the one-bedroom ‘Spa Villa’ at Kata Rocks comes with its own luxurious private treatment room, that includes daily spa massage treatments in the privacy and comfort of your own luxury pool villa. Treat yourself to the best spa in Phuket for your holiday or vacation.